Honeybee is Out and Flying! Illuminance study for the Hudson Yards Culture Shed. We are excited to announce that our own Integration Applications Developer Mostapha Roudsari has recently released Honeybee, his second plugin for environmental analysis, as well as a new version of Ladybug! 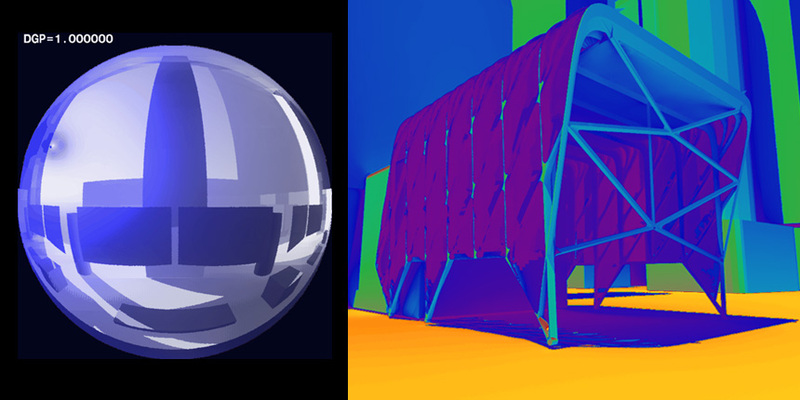 Honeybee is an ongoing, open source project to connect Grasshopper with validated daylighting and energy simulation engines, such as RADIANCE, Daysim, EnergyPlus and OpenStudio. The current version of Honeybee includes 64 components that enable users to prepare and run a variety of daylight analyses. Prepare geometry: Users can create geometry for simulations by either starting with a mass that can quickly generate zones, or creating the geometry surface by surface to maximize freedom and control. Generate RADIANCE materials: Users can generate a wide variety of Radiance materials by either specifying a material color or inputting individual numeric values for material properties. Left: Glare analysis of a work space. Right: False color image of the luminance analysis for the Hudson Yards Culture Shed. 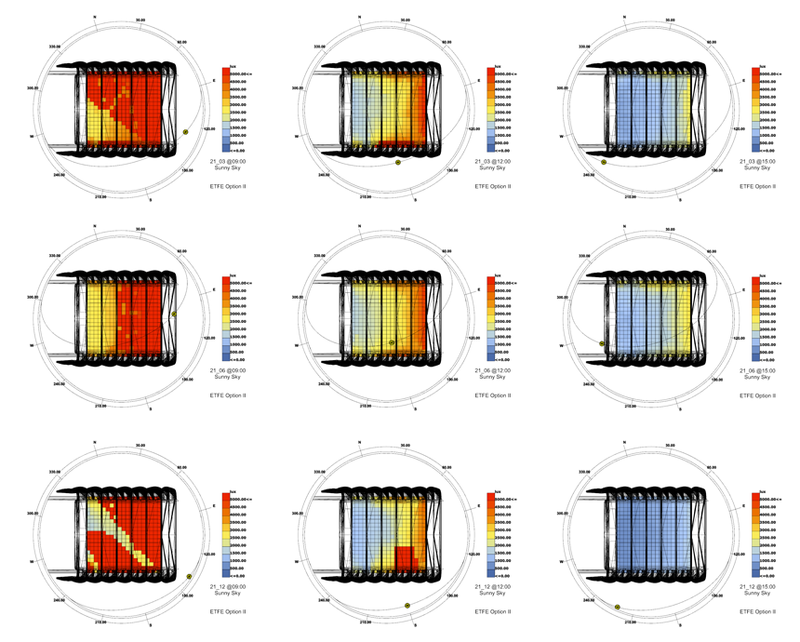 Run annual daylight analyses: Honeybee uses the Daysim engine to run annual daylight analysis. There is a full set of components for setting up this type of daylight study and another set for exploring the results. If you dare, you can even set up annual runs with dynamic blinds and advanced lighting controls. Annual daylight analysis for space with dynamic blinds. All this right from Grasshopper! Stay tuned for the next release, which will enable multi-zonal energy simulation using EnergyPlus. We are also working on the next animal to come, PANDA, which will provide a simplified interface and enhance the result visualization using Honeybee components. You can read the full release notes for Ladybug and Honeybee here.